Learning to trade on the Exchange for a consistent profit is a challenging but rewarding task. Many have tried, but very few make it to the upper levels of success. The majority of new traders struggle for three similar reasons. First, they can't see the wood for the trees. Attempting to trade without the right tools, information and understanding is foolish. Secondly, self-doubt is renowned for creeping in. Talking through the problems faced with friends and family rarely works - because they don't understand the concept of trading. Finally, sorting the good information from the bad is tough. Particularly when there are so many different sources making extravagant claims online. This is the exact reason there's going to be a professional Betfair trading event held in 2019, helping to solve all three problems at once. Betfair have supported Steve Howe, Mark Iverson and myself in forming the first event of its kind. You may have already noticed some of these names, endorsed on the Betfair Apps Directory. Created for traders, by traders, this event has been designed to help anyone that's interested in learning to trade on Betfair's Exchange markets. Regardless of sport. Held at the Village Hotel in Coventry, on February 16, there will be a full day of talks, refreshments, food and networking. Much of which will centre around trading strategy. To close things off there will be a Q & A panel with the three speakers and a chance to catch up after, inside a private bar. If you're interested in learning how the pros cash-out for a living, it's one you won't want to miss. Who is this event for and who's going? The event is not limited to those who are already trading, although having a basic understanding first is ideal. There's a beginners article here to bring you up to speed. The three main sports discussed will be Football, Horse Racing and Cricket. 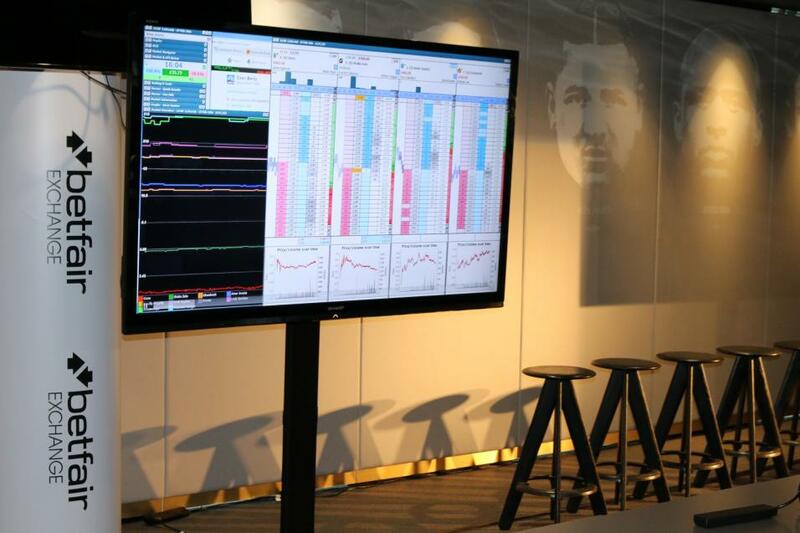 However, this is not just a talk about sport - real traders insight, reasoning and logic will all be on show to all. On the day it's likely there will be a range of abilities. From other aspiring traders, to intermediate users, and of course a select group of professionals. Aside from drawing on your speakers knowledge, it'll be a great chance to meet other like-minded individuals reaching for a common goal. Tickets available here. Steve Howe: A Betfair customer since 2005. Steve is a colourful character, known for his success in both the Horse Racing and Football betting markets. You may have also seen him featured in the 2014 pro traders campaign. Mark Iverson: One of Betfair's earliest customers in 2001 Mark became a self-taught Cricket trader. Recently he spoke during the Betfair evening at the Emirates stadium. Caan Berry: Last to register for a Betfair account in 2007, specialising in Horse Racing pre-race. Also featured in the pro traders campaign and at the Emirates evening. Finally, a big thank you to Betfair for generously sponsoring this event, making admission very reasonable for anyone that wishes to attend. Updated: See the post event highlights below! If you're interested in attending, you can get a ticket here now.